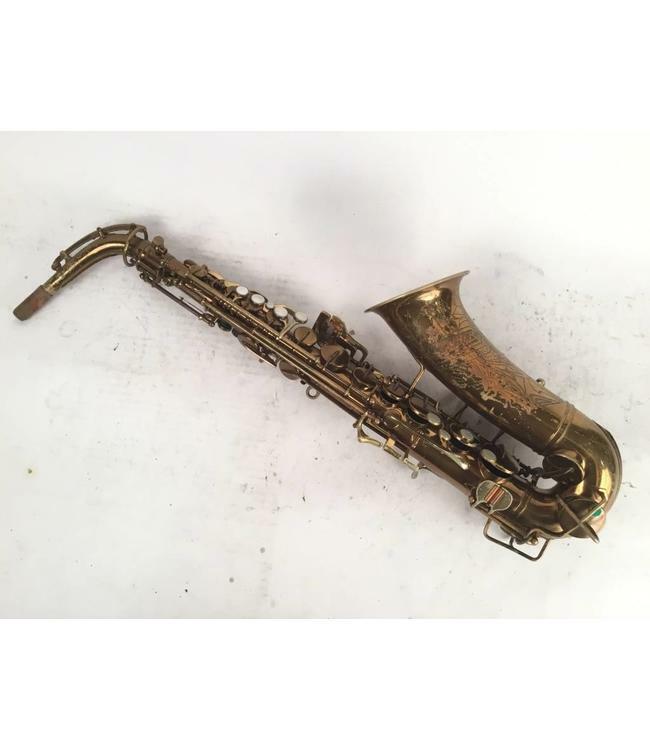 Used Buescher Aristocrat Series 1True Tone alto sax. Vintage horn with dark lacquer 90%. Surface scratches throughout. Pads and corks in good condition. Comes with case.